What the hell is skeuominimalism? It's skeuomorphism mixed with minimalism. What the hell is skeuomorphism? It's when an application tries to mimic its real-life counterpart. It's an object (or interface) that retains ornamental design cues to a structure that was necessary in the original but is no longer necessary. Kind of like adding a smokestack on an electric train. The Calendar app on OS X is replete with leather, seams and a torn page. All ornamental and unnecessary beyond the familiarity factor. One of the consequences of skeuomorphism is that when merging real life visuals with digital interactions the models start to break. You end up with leather buttons, serif type on a lined notepad, false affordances like pages that you can't really turn, and even a cookie crumb that you can't clean up. So as it tries to create familiarity to users it can also create confusion and awkwardness. Check out skeu.it for some of the gems of skeuomorphism. However, at its core, skeuomorphism is more than just the gratuitous mimicry of the look of a leather calendar. 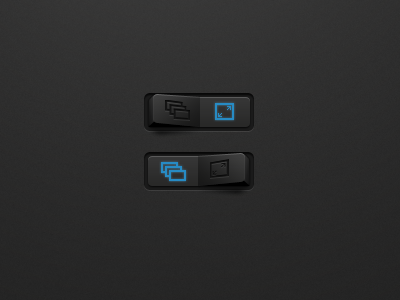 Buttons, shadows, ridges and toggles are skeuomorphic functionalities. Swiping, pushing and pulling are also real life interactions and could perhaps be called skeuomorphic, since they are not absolutely necessary to the functionality of the interface. But this is where the lines blur, and I would argue that although not necessary, they make it easier for our 3D brains to understand how to interact with a 2D interface and thus serve an important purpose. There is validity to a skeuomorphic approach. To create any good interface, it is essential for the designer to understand the cognitive models that a user brings to any new product. Since we have evolved interacting with 3D physics and not 2D screens to our brains buttons "ask" to be pressed, handles "ask" to be pulled, switches "ask" to be toggled. We instinctively know that smooth surfaces are harder to push than ridged surfaces. If an object casts a shadow our brains automatically perceive it with volume or on different plane. These are all affordances that as designers we should take advantage of and mimic on our interfaces. Now let's look at the flip side of that coin. Minimalism. Microsoft's new design language, Metro, is beautiful. Few disagree. It's minimalism turned all the way up, it's completely digital, so it looks nothing like real life counterparts. The unfortunate consequence is increased cognitive load and lack of affordances. In other words, the user needs to "think" before performing an action. Their brains struggle to figure out what can or cannot be tapped. They don't know what can be swiped, pushed or pulled because there are no real-world (skeuomorphic) hints for their brains to rely on (shadows, volume, texture, etc). What Metro gains in visual beauty, it lacks in usability. So what if we took the best of both worlds? What if we added those visual affordances abundant in skeuomorphism to minimalistic UIs so they are easier for users to quickly grasp your application? I like to call it "skeuominimalism". Skeuominimalistic design is simplified up to the point where simplification does not affect usability. And its skeuomorphic affordances are maximised up to the point where it does not affect the simple beauty of minimalism. Make it minimal, but do not make away with shadows, lighting, volume, depth, focus and textures when they are necessary for affordances. The new iTunes is a great example of skeuominimalism. 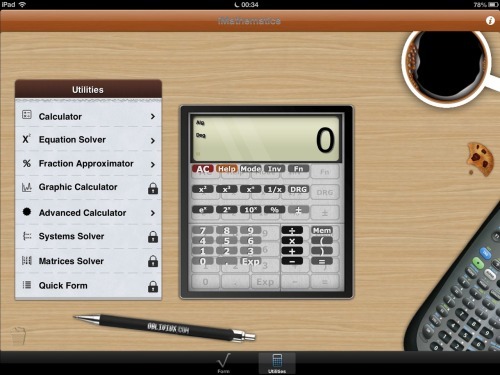 By using physical familiarity of shadows, gradients and highlights the buttons afford to be pressed. The soft noise and gradients gives it a bit of mood lighting. It looks beautiful! Jasmine, a YouTube client for iOS, perhaps goes a bit too far on the minimalistic side (by sometimes losing affordance in favor of simplicity) but it still uses shadows (for depth/hierarchy) and soft gradients for mood lighting. 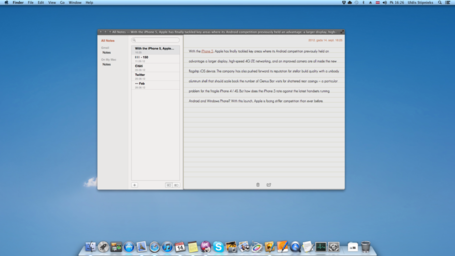 And then there's the series of Mountain Lion apps redesigned without the unnecesary parts of skeuomorphism, a worthy exploration of minimalistic yet easy to use interfaces. In essence, skeuomorphism is not all bad - overusing its unnecessary ornamental visuals can at this point be considered cliché and a bad design choice in my opinion. But using physics and 3D affordances makes it easier for us humans to interact with apps and thus we as designers should take advantage of that! I'm Edward Sanchez, User Experience and Visual Designer at Amazon for the Kindle.